When looking for superior quality, engineering & craftsmanship, Painless is the only sensible choice. Pit Stop USA is The Online High Performance Superstore! We feature Alternator Wiring Kits at low everyday prices. 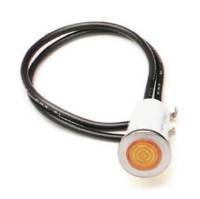 Battery Thru Panel Connectors from PitStopUSA.com allow you to customize your electrical system in your race car. 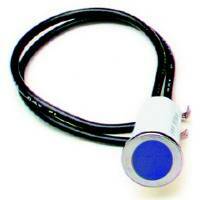 Use these handy Firewall Battery Cable Feed-Thru where a 12-volt power source has to pass through a panel or firewall. 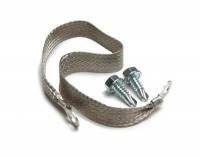 Pit Stop USA sells all the products you need for your 3/4 and 1-ton GMC or Chevrolet Trucks including Wiring Components. Pit Stop USA sells all the products you need for your 3/4 and 1-ton GMC or Chevrolet Trucks including Wiring Harnesses. Pit Stop USA is The Online High Performance Superstore! 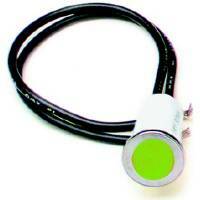 We feature Courtesy Lights at low everyday prices. Pit Stop USA is The Online High Performance Superstore! 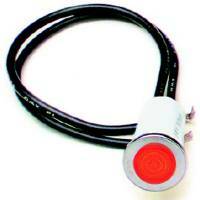 We feature Dimmer Switches at low everyday prices. Check out the Recently Listed Electrical Switch Panels and Components. Painless Performance 10 Gauge Black TXL Wire - 25 Ft. 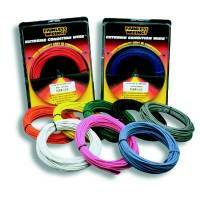 Painless Performance 10 Gauge Red TXL Wire - 25 Ft. Painless Performance 14 Gauge Black TXL Wire - 50 Ft. Painless Performance 14 Gauge Blue TXL Wire - 50 Ft. Painless Performance 14 Gauge Blue/Yellow TXL Wire - 50 Ft. Painless Performance 14 Gauge Brown TXL Wire - 50 Ft. Painless Performance 14 Gauge Gray TXL Wire - 50 Ft. Painless Performance 14 Gauge Green TXL Wire - 50 Ft. Pit Stop USA is The Online Motorsports Superstore! At Painless Performance Products, their harnesses are designed by real engineers using the latest in manufacturing and an accurate and easy installation. 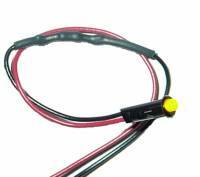 A wiring harness is, first and foremost, engineering. diagnostic equipment and AutoCAD to ensure consistency. The next most important component in a wiring harness is skilled craftsmanship. No, you won't find that in the box along with the parts kit, but you'll recognize it as you install one of Painless wiring harnesses. You'll appreciate how Painless Performance Products takes the time to properly group each wire in sections so that instead of routing eighty or a hundred individual wires you route entire sections of the vehicle at one time, drastically reducing the amount of time it takes to install a harness and virtually eliminating routing errors. Thatas why we say: With Painless wiring, half the work is done for you. Finally, and certainly not least, there's quality. You deserve the assurance that after installing a harness it's going to work: That when you turn on the headlights, they shine; That the blinkers blink and that the engine starts. When you install a Painless harness, they guarantee it is going to work. If youare looking for superior quality, engineering and craftsmanship, Painless wiring is your only sensible choice. Painless Performance Products has remained the leader in automotive wiring and electrical products for over seventeen years through engineering and innovation, not corner cutting and imitation. 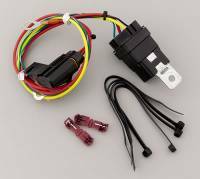 We feature Painless Performance Products harnesses, Painless Fan-Thom Electric Fan Relay Kits, Painless Hot Shot Plus Engine Bump Switch, Painless Push Button Switch, Painless Heavy Duty Toggle Switches, Painless Indicator/Warning Light Assemblies and Painless Powerbraid Wire Wrap at low everyday prices!